Spring will be arriving soon and many families around the world will be hitting the road for a Spring vacation. If you are lucky enough to be one of these families, consider taking a trip to Kansas City, Kansas. Kansas City is the third largest city in the state and is hustling and bustling with a ton of family-friendly activities and events. 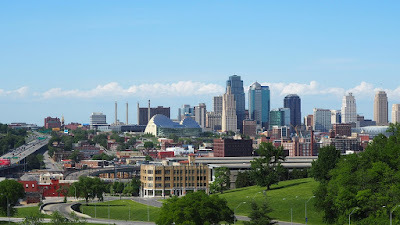 Here is a list of our top 8 fun things to see and do in and around the Kansas City area. * Science City at Union Station was named one of the best 25 science centers by Parents Magazine and provides an engaging environment ripe for exploration, experimentation and discovery. A great science center for fun family-friendly educational activities. * Head to Wyandotte County Lake Park for a fun-filled afternoon of walking, playing or enjoy an outdoor family picnic. * Visit the Rosedale Memorial Arch which honors soldiers from Rosedale who fought in World War I and soldiers who fought in other wars. * Schlitterbahn Water Park in Kansas City is one of the best and most fun family-friendly water parks in the US. * Visit the Richard Petty Driving Experience it is a must see! You can get behind the wheel and race around the track or ride shotgun alongside a real racing professional. * If you prefer to just watch some fun races, then head on over to the Kansas Speedway to see some fun and exciting race car action. * The Children's Museum of Kansas City is an interactive museum for kids ages 4 thru 12 years of age. Kids can learn about art, history and science by viewing the exhibits and participating in museum activities. * The Strawberry Hill Museum and Cultural Center was established to teach, promote and sponsor the ethnic heritage and diversity of the Kansas City area. This list of 8 family-friendly things to see and do in Kansas City is just the tip of the iceberg! 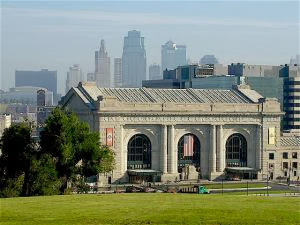 Kansas City is a cultural-rich city with hundreds upon hundreds of family-friendly activities. You will find many that are low cost and others that are modestly priced. Overall, this is a great city that is worth adding to your vacation "bucket list".